Florida Department of Environmental Protection issued the following announcement on April 12. 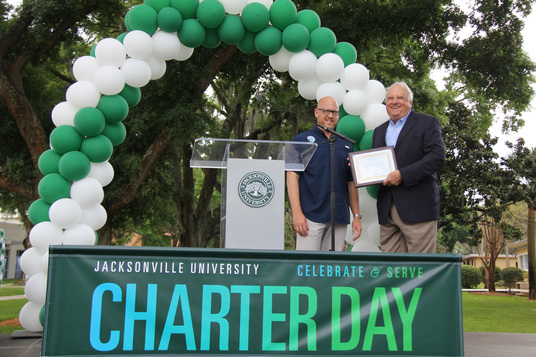 Today, the Department of Environmental Protection's Northeast District recognized Jacksonville University for its exemplary commitment to environmental awareness and protection. Sustainability and conservation initiatives implemented by the University include energy-efficient upgrades, recycling efforts, water conservation programs and environmental activism in the community. "DEP's Northeast District is excited to recognize Jacksonville University for their outstanding commitment to environmental stewardship," said Northeast District Director Greg Strong. "By actively promoting environmentally responsible practices such as recycling, reducing energy consumption and serving in various advisory and volunteer roles, Jacksonville University is leading by example to create a culture of sustainability and improve the environment in our community." Jacksonville University (JU) has had far reaching impacts on environmental awareness and protection for decades. Under the direction of Dr. Quinton White, the University’s Marine Science Research Institute (MSRI) is considered a premier marine environmental research and education facility in Northeast Florida, providing opportunities for students, scholars, scientists and engineers to study environmental and ecologist issues facing the St. Johns River. JU forged a unique partnership with OCEARCH, a global-leading oceanic research organization, offering unprecedented hands-on, experiential learning opportunities for students, both in the classroom and on board the OCEARCH shark research vessel. MSRI staff have assisted local government in developing, implementing and periodically revising a state and federally approved City of Jacksonville Manatee Protection Plan. MSRI staff have for many years served on various local committees and commissions that provide guidance and educational oversight for environmentally related issues to all levels of government and the private sector. MSRI achieved the U.S. Green Building Council’s “LEED Gold” status by capitalizing on natural daylight for Solar panel usage, using rainwater harvesting for flushing toilets, irrigation and boat wash downs. The building is East-West oriented to reduce solar heat load, solar hot water is utilized, along with low-energy lighting and limited paved parking near building to avoid run-off into St. Johns River. Located on the St. Johns River and nationally recognized by the Arbor Day Foundation as a Tree Campus USA university since 2015, sustainability is a priority at Jacksonville University. Last year’s campus service project involved students planting native trees on-campus. Jacksonville University’s waste recycling program not only recycles paper, plastic aluminum and glass items, but also collects and recycles all toner and ink cartridges. 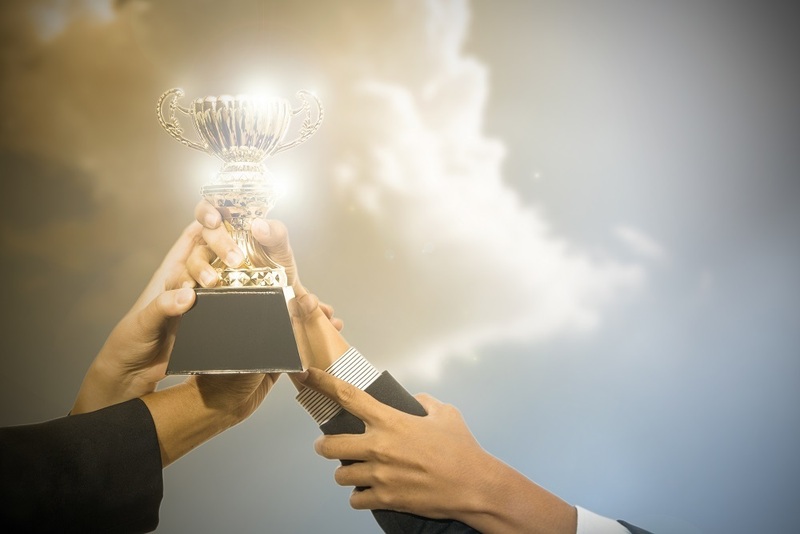 In an effort to partner with local communities and businesses to protect natural resources and promote economic growth, the Northeast District has initiated an Environmental Stewardship Recognition Program to recognize corporate and non-profit partners and stakeholders who go above and beyond to protect Florida's natural resources. Jacksonville University’s long-standing commitment to environmental protection qualifies their receiving this recognition. Want to get notified whenever we write about Florida Department of Environmental Protection ? Next time we write about Florida Department of Environmental Protection, we'll email you a link to the story. You may edit your settings or unsubscribe at any time.